Step 1: Build a fire in a fire pit. Start with a chimney of lump charcoal, dump the coals then add desired wood. We used chunks of cherry and pecan. 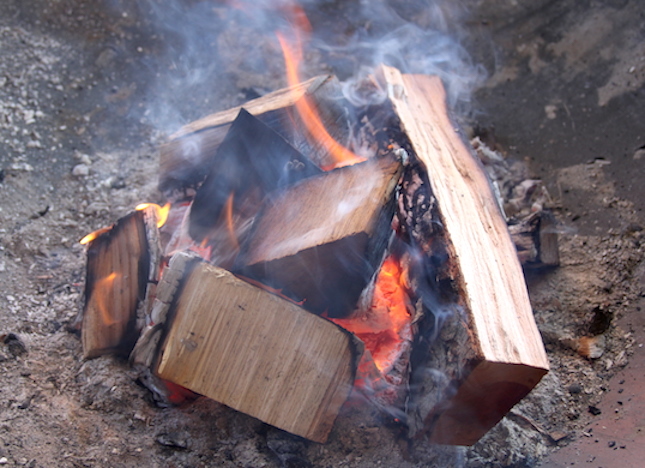 When the fire is burning hot, place a Lodge Logic 10” Cast Iron Skillet on a grate, about 4″over the fire. 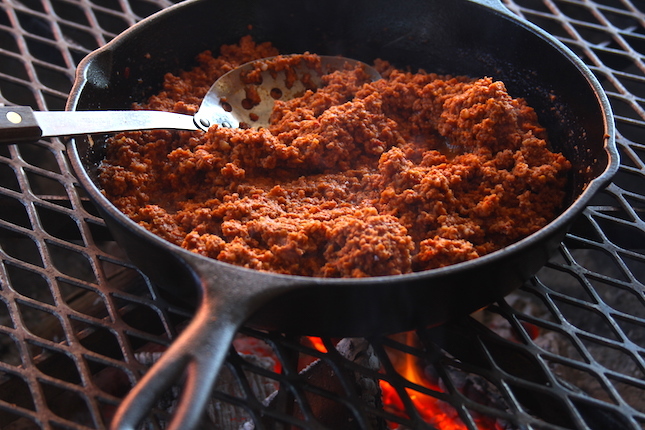 Add the Mexican chorizo to the pan and cook all the way through. Move off to the side of fire. 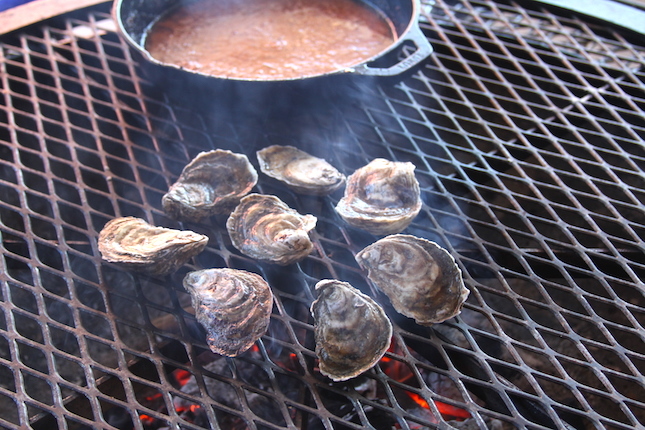 Step 2: Place the oysters, flat side up, over the coals and cook until shells open. Meanwhile, add the butter, lime juice and Cattleman’s Grill 8 Second Ride to the pan of chorizo and whisk while the butter melts. Step 3: Once the oysters have all opened detach the oyster and remove the top shell, leaving the oyster in the bottom shell. 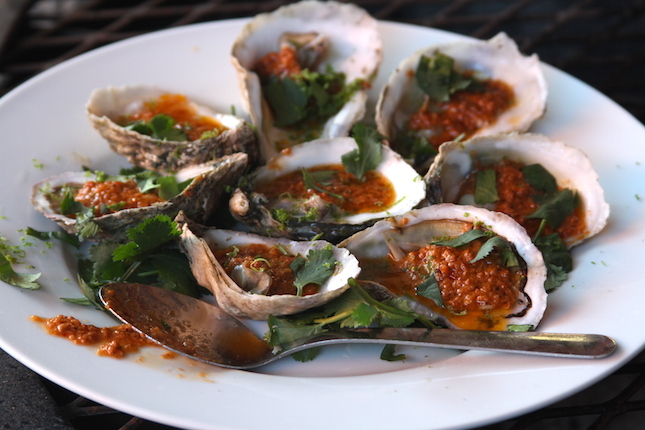 Place on a serving platter and spoon the chorizo butter over the oysters in their shells. 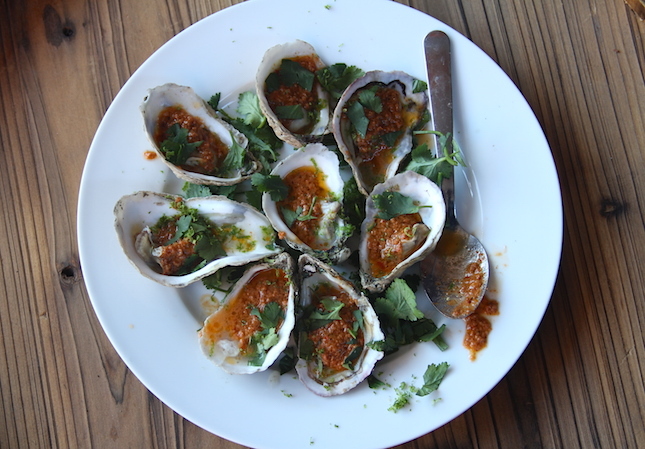 Sprinkle the cilantro and lime zest over all of the oysters. By this time the shells should be cool enough to serve.